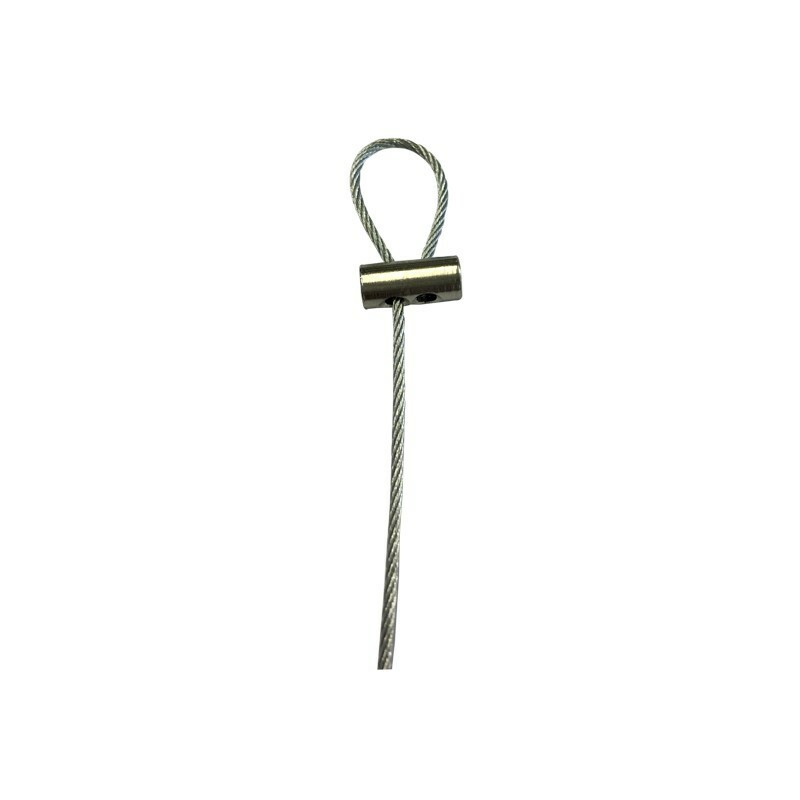 Extra Heavy Duty screw Loop 2mm thick steel cable tested with 50KG or 100 LB weight. Cable can be cut to size with wire cutter or fold behind the picture. 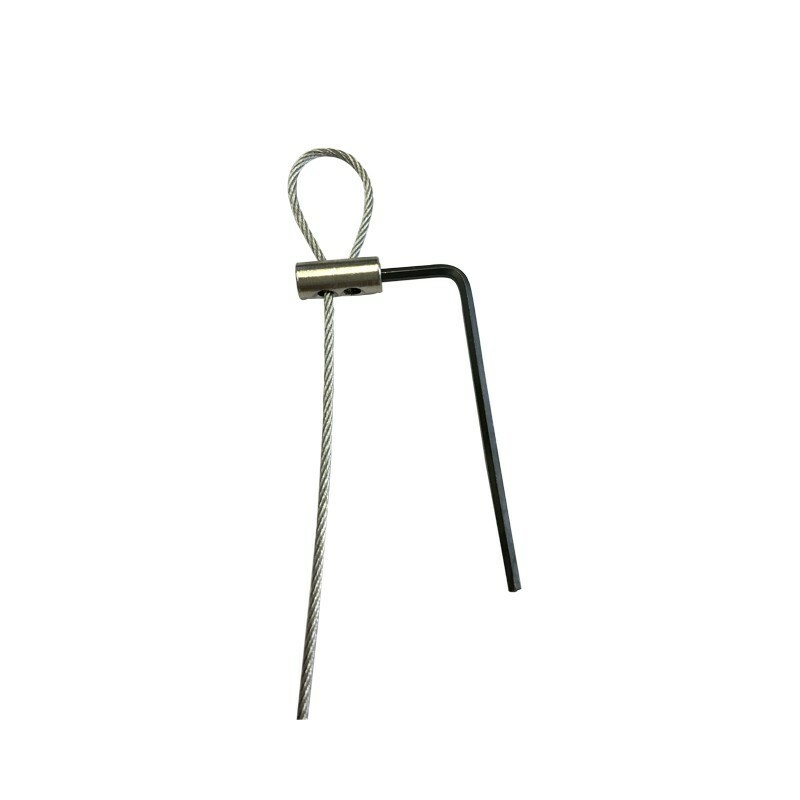 You can unscrew the loop maker to change the loop size or to loop around beams & brass rods. Extra Heavy Duty wire rope steel loop 2 MM, also available in 1.5 mm, 3 mm and 4mm. 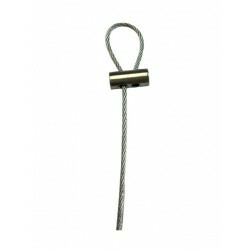 Extra Heavy Duty Screw steel rope Loop ideal for any type of hanging particularly specially for plants decoration lights hanging. Vastly use in expo shows & very popular with exhibition organiser because reusable & easy to store. You can make loops at both ends by buying extra loop makers to hang very heavy lights & boards. You can hang 100 KG or 80 LB boards by using 2 cables one on left & one on right.